Queen's Business Consulting constantly strives to meet the rapidly changing needs of its regional alliance partners in both the for-profit and not-for-profit sectors. We are dedicated to providing high-value and high-impact advice in the areas such as marketing, finance, accounting, Internet commerce, information systems, production management, and market research. Queen's Business Consulting charges $20 per consultant hour for each project, with the average project being around 150 hours. 50% of the retainer is expected when the proposal is signed, and the rest of the payment is expected at the conclusion of the project. "She (Jennifer Grantier) arrived looking so professional, we thought we had the right person....As a result of her work we know where to go." "It is without doubt the best investment of time and money during my 23 years as a business woman. The four students were not only extremely knowledgeable and effective, but were delightful and positive in their approach." "They did the job as well - if not better - than what a large firm would produce. Certainly it was more comprehensive." "The Department of Obstetrics & Gynecology had a vision for what they would like to achieve to improve access to care and innovative health care in general, but didn’t have the know-how outside of the hospital setting. 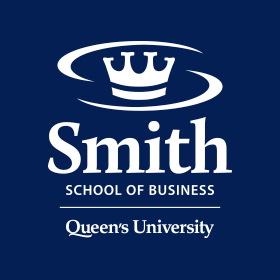 The Queen’s School of Business Consulting provided that know-how. They were extremely professional, skillful and easy to work with every step of the way. They not only undertook the needs assessment and assessment of the viability of our proposal but also provided us with the contacts who could further help us on the road to realizing that vision."